Welcome to Day #4 of Chocolate, Salt and Almonds Theme Week. 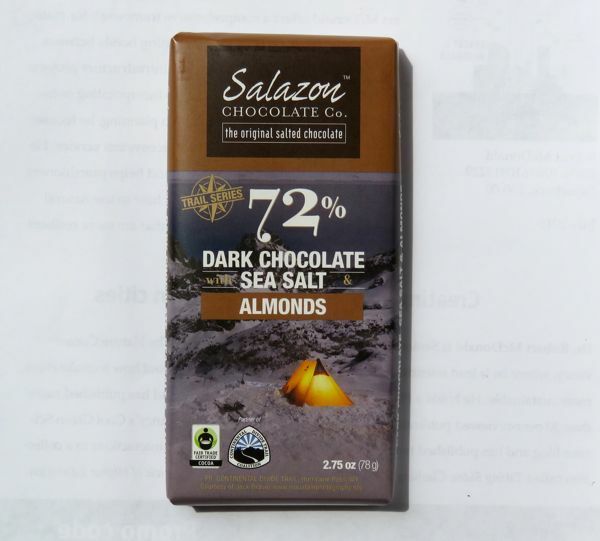 I can't have a salt-focused week without mentioning Salazon Chocolate Co. LLC (Eldersburg, MD). This company was created specifically to honor the fusion of chocolate and salt. The company tagline -- "the original salted chocolate" may be a slight exaggeration, but they've earned their bragging rights. I'm partial to the company's other tagline(s): "Roam the Earth. Eat Chocolate. "— a motto that summarizes my desire to travel and hike outdoors in the past 10 years. Being out in the fresh air in the mountains or on a trail somewhere new inspires me, and the experience is even better with great chocolate and food and good company. 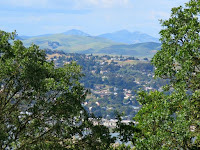 Salazon founder, Pete Truby, was backpacking in Utah, when he had the idea of creating Salazon. 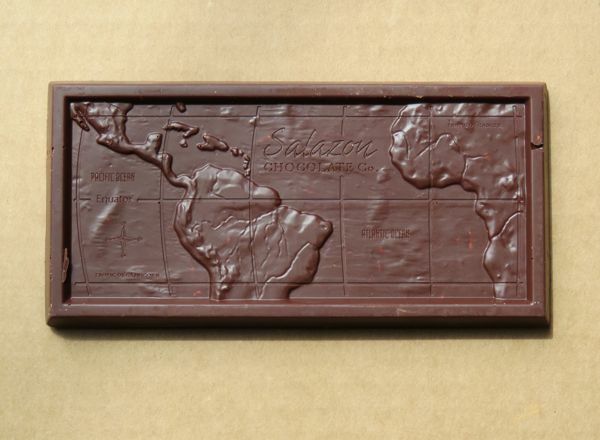 Today's Salazon 72% Dark Chocolate with Sea Salt and Almonds bar, part of the company's Trail Series*, was embossed with a map of the world. This organic dark salt bar had surprising complex flavor, that I rarely experience in a "salt" bar. The single origin Dominican Republic chocolate was the star. The chocolate had a not unpleasant, fresh, fermented cacao aroma. It melted slowly but evenly, releasing green, mild fruit and then surprisingly floral notes. 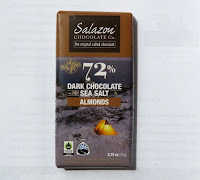 I was, perhaps, expecting to have salt crowd out any nuances of chocolate flavor, but instead small crystals of sea salt twinkled patiently in the background, sharing the scene with chopped bits of almond. The maker here has, instead, honored all the ingredients from across the world in this bar, in a marvelous way, blending them together to make something unique and interesting. 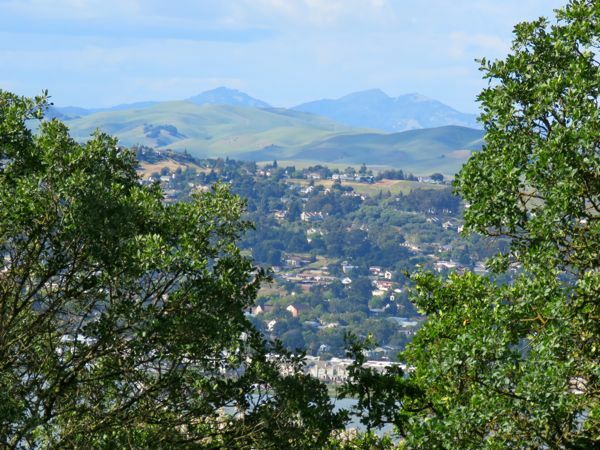 *"At least 2 percent of gross sales" of Salazon Trail Series bars will go to "support the Triple Crown of National Scenic Trails." Labels: chocolate and almonds, chocolate and sea salt, dark chocolate bar, Salazon Chocolate Co.